The recent presidential election reflected the political divide stretching across the United States. Indeed, the words of vice-presidential candidate John Edwards rang most prophetic; voting results reflected very much the idea of "two Americas". There were, of course, the so called "swing states", the ones that ring purple in an otherwise sea of red and blue, but why these states are purple at all reflects their own vast political division. The most immediate result of this fracture was the intense sense of defeat suffered by many John Kerry supporters, and the triumphant gloat of a portion of the Bush ones. Editorials in local newspapers reflected this sentiment: Bush supporters congratulated themselves for being on the "winning team", congratulating similar voters for "not buying the lies of the ultra-left wing media", instead voting for "morality". Kerry voters wrote editorials reflecting sentiment similar to the now-infamous London Daily Mirror headline, "How could 59 million people be so stupid?". The polarity of this election was such that it didn't matter which candidate won; one half of the American population was guaranteed to feel great despondence on November 3, or whatever day the final votes were tallied. The nation seems to be neatly severed in half when it comes to voting inclinations. 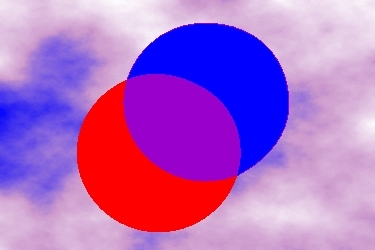 But does this nearly even divide reflect polarity, or does it reflect a more mixed reality? Reasons for why individuals voted for one candidate over the other seem to point to the latter. Some voted for one or the other just because they've always been Republican or Democrat, and didn't see any reason to change persuasions now. This would probably constitute the majority of regular voters; even independents have a tendency of leaning left or right. The "Reagan Democrats" have been voting for Republican presidents, while casting ballots for Democrats on a legislative- and state -wide basis for years, and there was nothing in this election to suggest this altered. This does not reflect so much a "divide" as a matter of long-held views. If someone voted for President Bush because of his socially conservative views, and someone else voted for him primarily for his job on terrorism, there might be just as much a divide between these two people ideologically as there would be between a Kerry voter and a Bush voter. There is the so-called "morality mandate", the one that many claim that decided the election. With such a strong backing in both houses of Congress, it is likely that President Bush has the opportunity to create a legacy for years in the shape of the Supreme Court if either Justice O'Connor or Justice Stevens retires. This is where the most contentious of social issues will be determined; the fate of issues such as school prayer, abortion, and affirmative action can be flipped one way or another just by the retirement of one judge. The issues that are reflected in these decisions cause more dissension than even the question of legitimacy of the war in Iraq. Indeed, it is because of these issues that the rift between disparate voters has increased all the more. Conservative activists and pundits use the now-famous exit polls which reflect that the majority of voters cited "moral values" as the reason why they voted a certain way, which exposes those on the left as being moral degenerates not keeping up with the spirit of the American people. The basis for this sentiment would be stronger if somehow these polls were completely accurate, reflected at least fifty-one percent, and were more explanatory as to what is meant by "moral values". There are several problems with the "moral imperative" theory. One is that the statistics used were taken from exit polls; that nefarious database that had Kerry leading in both Florida and Ohio. Exit polls are horribly unreliable as far as accurate data go; for example, no one asked me why I voted the way I did, and I don't know anyone who was accosted by an exit pollster. Samples can be biased, not random enough, or too small to be representative. Not to mention, statistics is the one branch of mathematics that is horribly inaccurate as far as scientific standards are concerned. Polls can be so skewed as to account for nothing at all. Barring that, and presuming the polls are accurate, the "moral values" imperative only had a technical plurality as far as its lead, and even then its stance is not so solid. The general consensus is that 22 percent of people voted because of moral values. This is nowhere near the 48 percent needed in an average tally to call it a majority, given that most polls have a plus/minus ratio of about three per cent. Even its plurality is threatened when one considers the next two categories: 20 percent voting for terrorism, and 19 percent for Iraq, in essence showing that 39 percent of the population voted the way they did because of the war on terrorism, with moral values coming in second place at 22 percent. The last argument against the "moral imperative" has to do with voter turnout and political beliefs. There has been some tendency to presume the high number of new voters came out of the woodwork because of state measures against gay marriage and voted for Bush for this reason. Hence, the "moral values" votes must all be Bush voters. However, one could be against gay marriage and vote for Kerry, as Kerry suggested himself that this should be a state issue. Those who are so against gay marriage and abortion because their churches are probably don't account for new voters; they probably have been regular Republican voters for years. After all, it isn't as though Clinton or Gore were against abortion, and suddenly here comes "anti-life" Kerry. The Catholic vote is another distortion of this; supposedly 52 percent of all Catholics voted for Bush, and the abortion question is immediately pegged on this statistic. However, this finding does not take into consideration where much of the Catholic population reside: Long Island and suburban New Jersey have high Catholic populations, and they are the cohort to most likely be a survivor of the World Trade Center attacks or have a loved one who died in the Towers. Many of the firemen and policemen in New York City are Irish-Catholic. Many of them were impressed with Bush's coming to Ground Zero, and the fact that he took action so quickly to avenge the attack. For a time, it seemed possible that New Jersey would go red this election because of the war on terrorism At the very least, much of the Catholic population in the New York Metro knows someone who knows someone who died there. Many of the Catholic voters in this populous region may be basing a Bush vote because of the war on terrorism rather than pro-life views, skewing the Catholic Republican voting record. It can be argued that the split in the country did not happen with this election, but occurred more readily in the contentious election of 2000 with its Supreme Court ruling and "hanging chads". Again, though, this divide could have reflecteda "moral imperative"; there were those voters so disgusted with the antics and impeachment of Bill Clinton that Al Gore had to bear the brunt of this one way or the other. Many voters were ready to vote for "anyone but Bush" as soon as he was inaugurated in 2001, and Bush supporters became loyalists. This is where the real divide in the country lies; certainly divergent views should be welcomed in a free society, but many feel fear that during a time of war. They fear that this division will cause the country to implode from within. Perhaps the chasm is not such a bad thing, as long as each person feels free to express his or her real opinion. There may seem to be a chasm between the people simply because one party is the majority in all three arenas in the federal government. A divided society may be just what the nation needs at a time when the federal branch leans so widely one way. This division creates its "checks and balances", one that is lacking in the current makeup of Congress and the executive branch. The real danger will come if one feels that his or her freedom or life are threatened because of his or her views, or has to fight to be heard. This is when implosion is most likely occur, because for either half to be quelled at all would cause a dangerous precedent. President Bush is justified in thinking he has political capital to spend on conservative causes, but must remember that forty-eight percent of the populace thinks differently. In order to maintain cohesion, he needs to remember this as he tries to create his legacy in his second term. It's one of those places that you say rhetorically, if you blink, you'll miss it. There isn't a conglomeration of interstates meeting up in its belly.